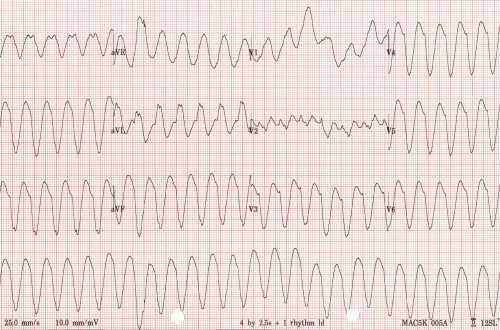 Definition: A wide-complex (QRS complex > 120 msec) tachydysrhythmia that originates within or below the bundle of His. 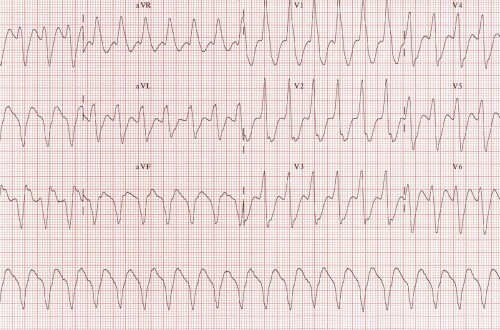 There are a number of algorithms that can be used to diagnose VT with the Brugada criteria being the most widely used. The derivation study of this algorithm found a sensitivity of 98.7% and specificity of 96.5%. 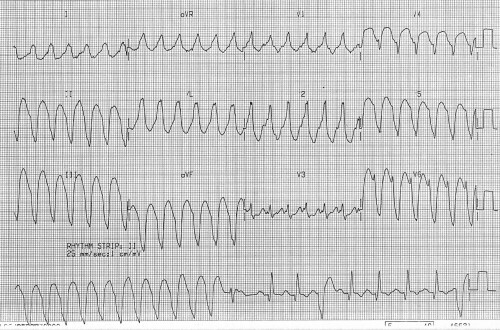 (Brugada 1991). However, the study was not performed under ED circumstances (patients were taken off cardiac meds prior to EKG, not acute presentations etc). There is no algorithm that has100% sensitivity or specificity. 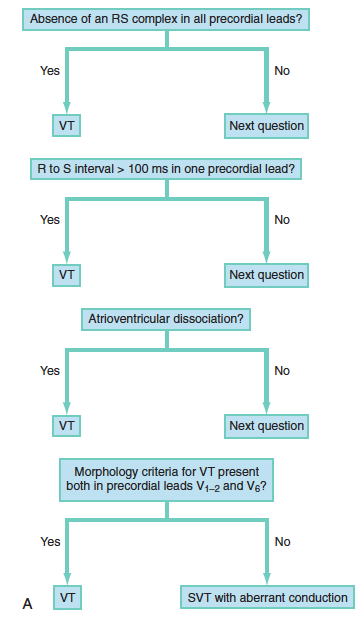 Atrioventricular (AV) dissociation: atria and ventricles do not activate in a synchronous fashion. 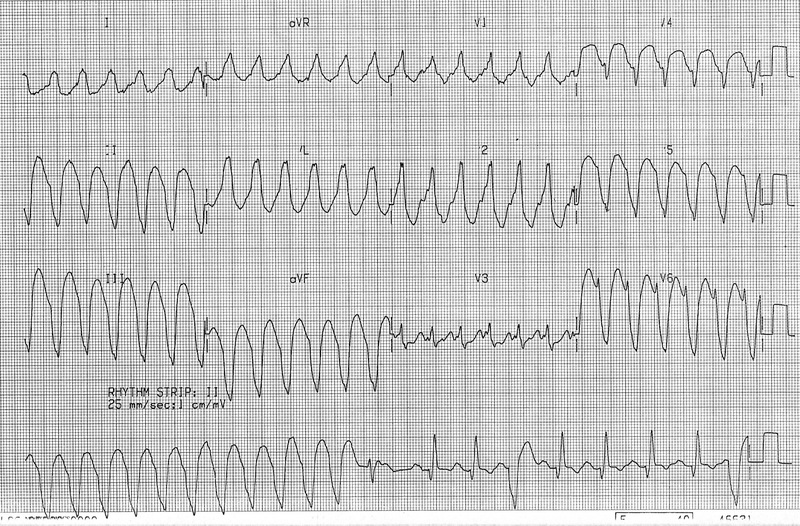 The EKG reveals P waves that are not conducted or linked to the QRS complexes. Critical Point: It is safer to assume all wide-complex, regular tachydysrhtyhmias as VT, because the treatment of SVT with aberrancy (the most common alternate diagnosis) as if it is VT is safe but misdiagnosing VT as SVT with aberrancy is potentially life-threatening. Pulseless: If the patient has no pulse or blood pressure, proceed immediately to defibrillation and chest compressions. 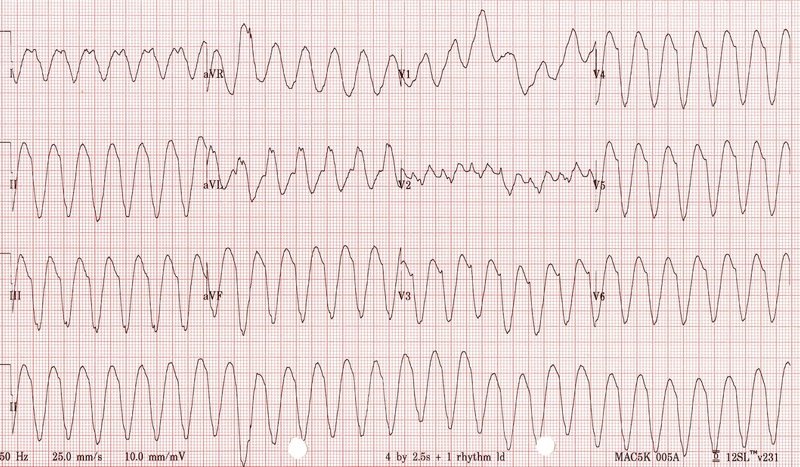 Synchronized cardioversion is indicated for unstable patients with VT who have a pulse. Synchronized cardioversion should also be strongly considered in stable patients with VT as it is safe and both more effective and more rapid than chemical cardioversion. 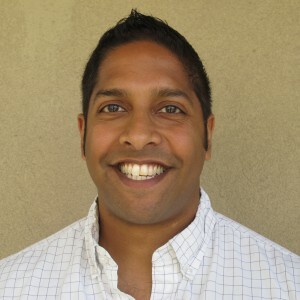 Critical Point: Although amiodarone is touted as the 1st line drug for chemical cardioversion of VT in ACLS, evidence suggests that it has poor efficacy in terminating VT. (Marill 2006, Tomlinson 2008, deSouza 2013). Disposition: The vast majority of patients with an episode of ventricular tachycardia should be admitted to the hospital (preferably a high-acuity setting) for further workup with cardiology or electrophysiology. Patients with a properly functioning AICD may be discharged, usually after device interrogation and discussion with cardiology. 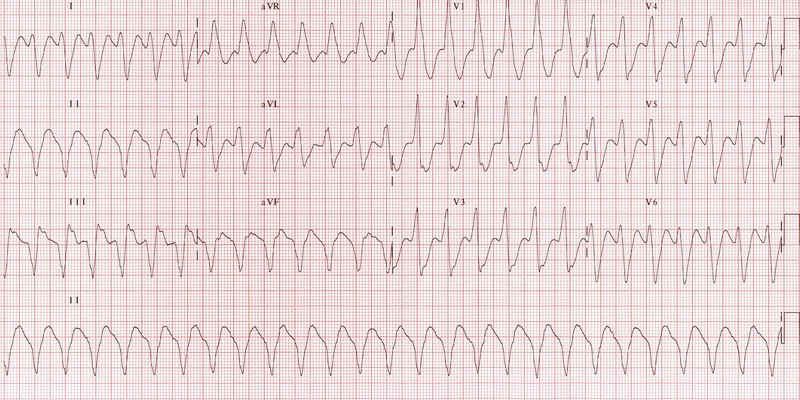 In the patient with a regular, wide-complex tachydysrhythmia, it is safer to treat the patient as VT. Consider VT mimics when the rate is < 120 bpm. Although chemical cardioversion is an option, electrical cardioversion should be considered in stable VT as it is safe, more effective and more rapid in returning the patient to sinus rhythm. Yealy D, Kosowsky JM: Dysrhythmias, in Marx JA, Hockberger RS, Walls RM, et al (eds): Rosen’s Emergency Medicine: Concepts and Clinical Practice, ed 8. St. Louis, Mosby, Inc., 2010, (Ch) 79: p 1034-63.